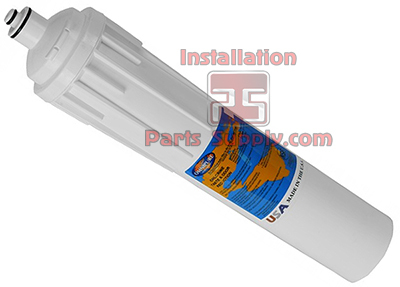 Designed to fit 500 and 700 Series Cuno®/3M® Permanent Filtration Heads. The Omnipure CK-Series and CELF-Series Cuno®/3M® Replacement Water Filters were developed to offer our customers an alternative to higher priced replacementbodies designed to fit existing Cuno®/3M® bayonet-style permanent heads. Made of highly durable injection-molded polypropylene, the OmnipureCK-Series and CELF-Series are constructed from 100% NSF (National Sanitation Foundation) approved materials. Omnipure offers a variety ofstandard media options including Granular Activated Carbon (GAC) for taste and odor reduction, depth filtration media to address sand, grit andsediment problems that can clog or damage down line equipment and a special blend Polyphospate media designed to control the scaling associatedwith hard water. The Omnipure CK-Series and CELF-Series Cuno®/3M® Replacement Water Filters can also be ordered with the premium Omnipure Block™ media.This family of Carbon Blocks utilizes new technology that optimizes surface area for better contaminant absorption. The Omnipure Block™ isavailable in a high capacity, ten-micron activated carbon version and a water polishing, cysts reducing one-micron version. Additionally,Omnipure Blocks are available in an activated carbon/scale inhibitor version and a Carbon/Lead inhibitor version. 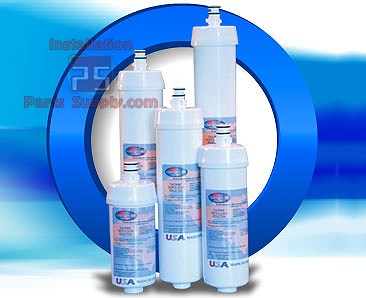 The Omnipure CK-Series and CELF-Series Cuno®/3M® Replacement Water Filter bodies from Omnipure...a reliable, efficient, cost-effectivealternative to higher priced filter body replacements on the market. Large 3.5" wide x 10" or 15" lengths. Incorporated into every Omnipure Inline Water Filter body design are engineering features that make Omnipure products the best, mostcost-effective water filters on the market. For instance, every filter features a patented spring disc that keeps media under ideal pressureand eliminates channeling, polypropylene inlet and outlet pads prevent media migration that can foul water, and lastly, all Omnipure filtercomponents are friction-welded together to eliminate the use of glues or binders that can contaminate drinking water. 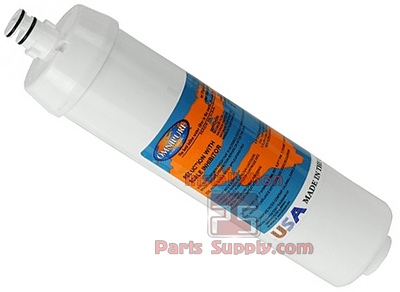 Omnipure Water Filtration Company revolutionized the filtration industry in 1970 when it made the first small, disposable, inline, water filter.The first and still the best and one of the last domestically made water filters in the U.S.